Sponsored by PokerStars and launched in 2009, the Spring Championship of Online Poker (SCOOP) is a large online poker tournament series that caters to a wide range of poker players due to its accessibility and great diversity. 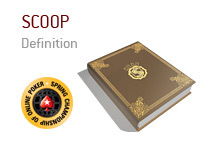 What distinguishes SCOOP from similar events, such as the World Championship of Online Poker (WCOOP), is the tiered stake structure: Low, Medium and High. Medium is 10 times the low stake, and high is 100 times as large. SCOOP also has all of the games that an event like the World Series of Poker does: No Limit Texas Hold 'em, Heads-up No Limit Hold 'em, Pot Limit Omaha H/L, 7 Card Stud, HORSE, Razz, 2-7 Triple Draw, 8-game Mixed and so forth. 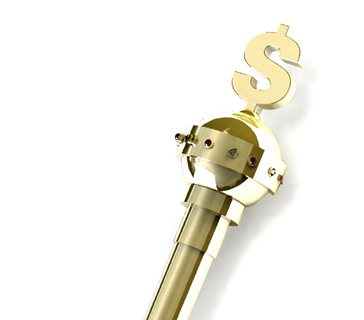 Every event SCOOP offers they offer at each of the three tiers: Low, mid and high. The benefit of this structure is that everyone gets to participate in the game that they enjoy because the low buy-ins range from $11 to $109. Mid buy-ins range from $109 to $1,050. High buy-ins range from $1,050 to $10,300. SCOOP has 22 events in the series, 66 if you count tiers separately. Prize pools range from about $40,000 in the smallest event at the low tier to about $6,000,000 in the high tier of the No Limit Hold 'em Main Event.